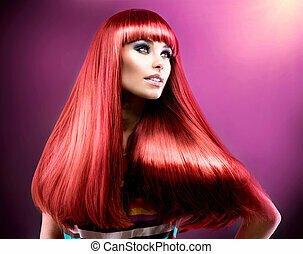 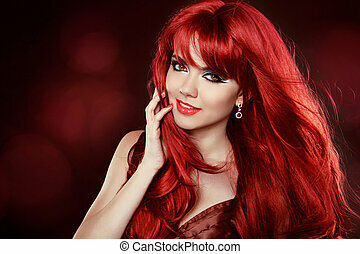 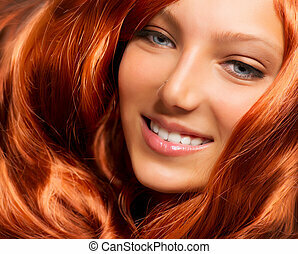 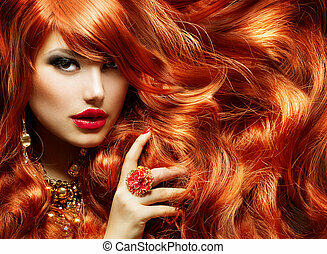 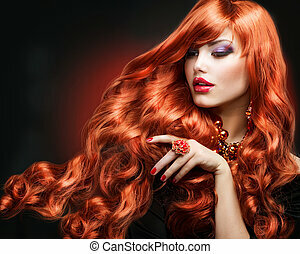 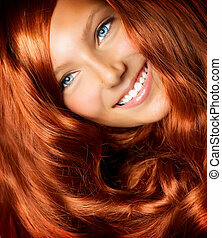 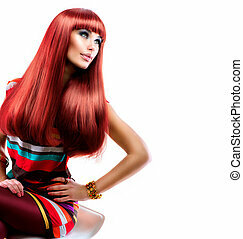 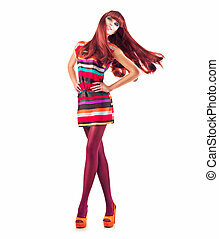 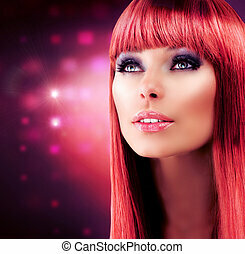 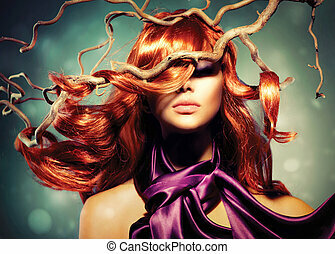 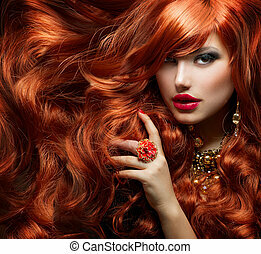 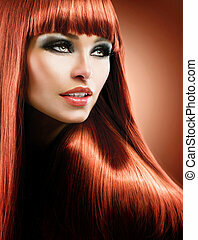 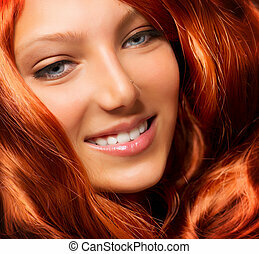 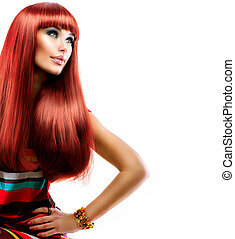 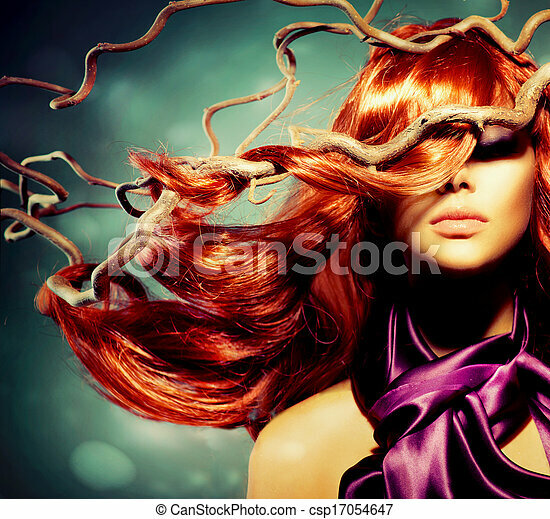 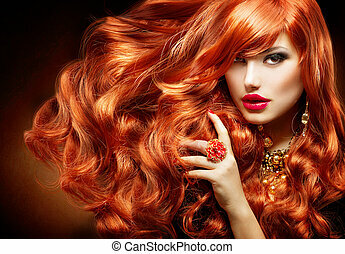 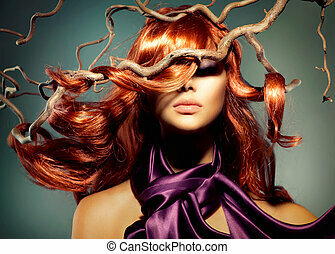 Fashion model woman portrait with long curly red hair. 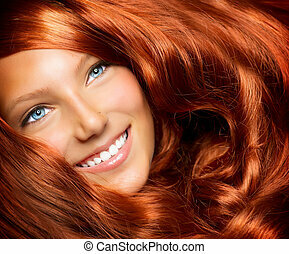 Brunette. 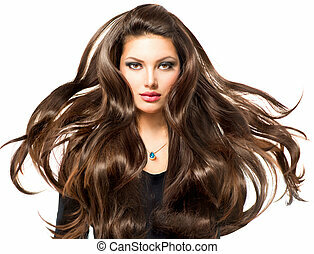 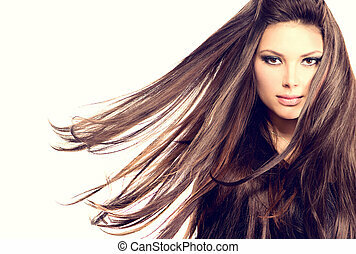 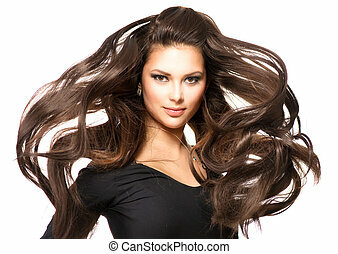 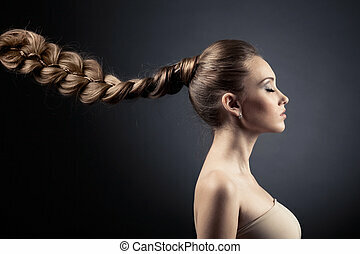 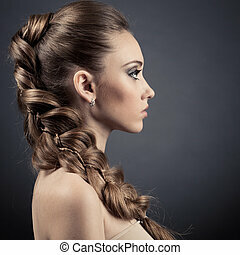 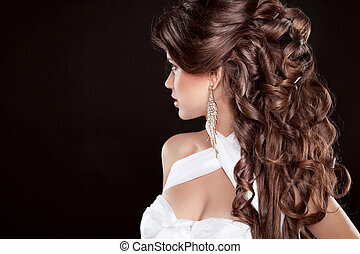 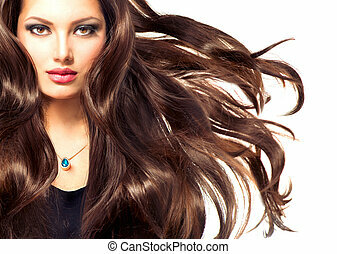 Luxury Woman with Long Brown Curly Hair. 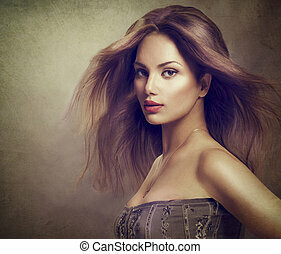 Fashion Model Portrait isolated on a black background. 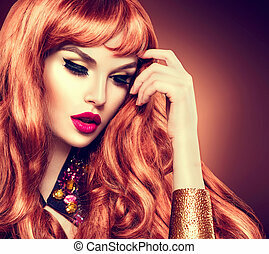 Gorgeous Lady. 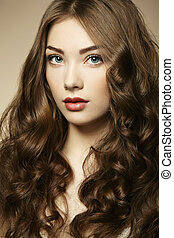 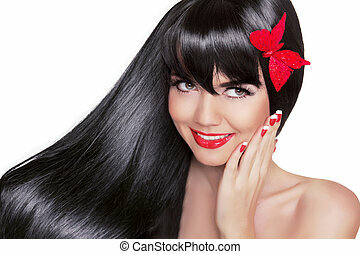 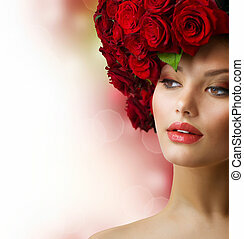 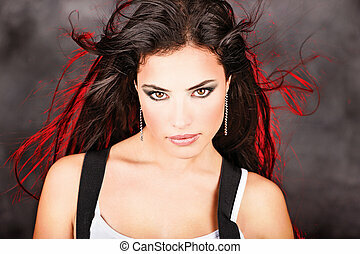 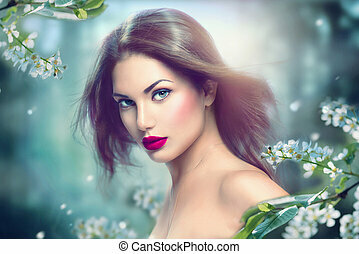 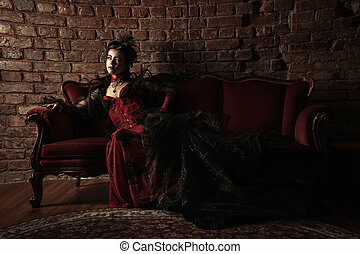 Portrait of sensual beauty with long curly hair wearing red lipstick and beautifyl makeup.